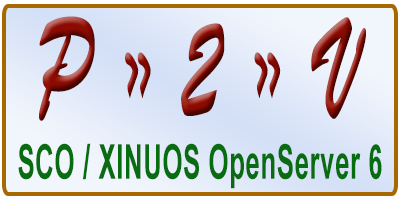 Xinuos (formerly SCO) OpenServer 6 can be a rather difficult operating system to virtualize or migrate to new hardware. Its lack of an easy method to change host bus adapters is one of the primary issues when needing to perform a migration or Physical to Virtual (P2V) machine conversion. Preserves the OpenServer 6 license. OpenServer 6V or OpenServer 6 Definitive are not required. The resulting virtual machine can have as many CPUs and as much RAM as OpenServer 6 and VMware support (with proper licenses).